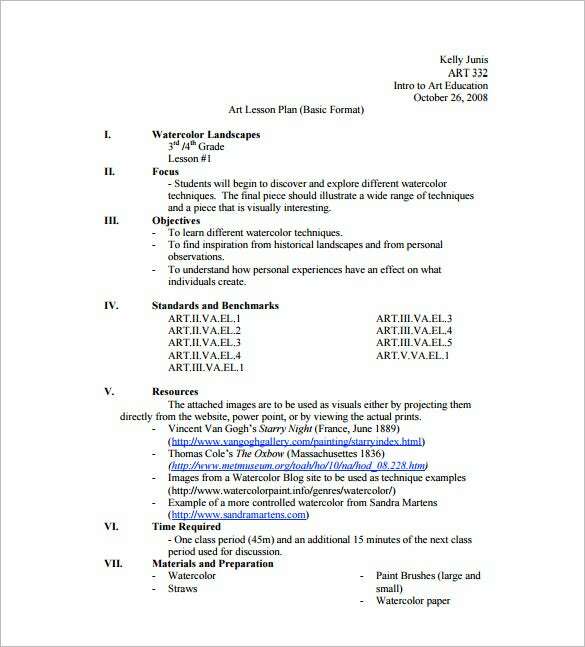 Art Lesson Plan Template – 10+ Free Word, Excel, PDF Format Download! Teaching art is probably tougher than teaching any other subject. 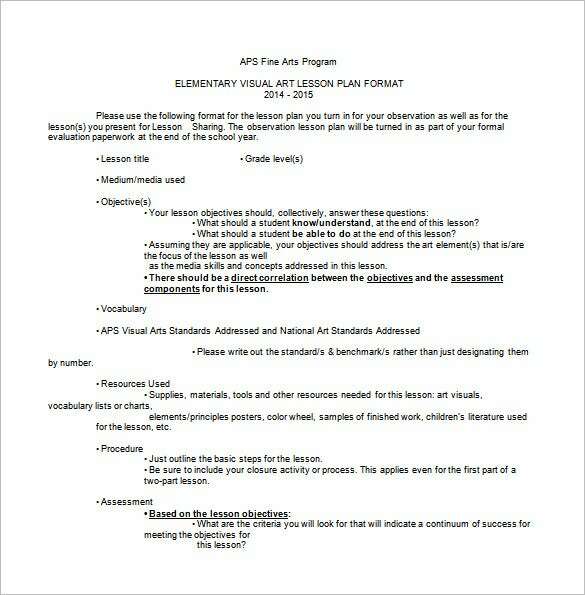 This is because, art requires personal attention what with each kid having his own projection of the Common Core Lesson Plan Templates and the art in question. 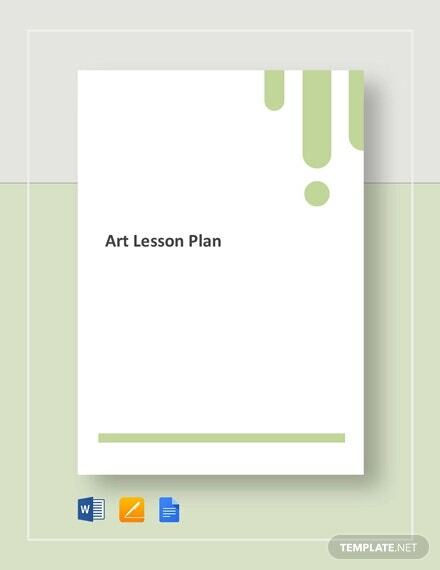 Yet, to make an art lesson a great experience for the kids, all that the teachers have to do sometimes is plan it to perfection.An art lesson plan is a sample plan that is made by art teachers before they decide on a topic that they would like to teach their students. 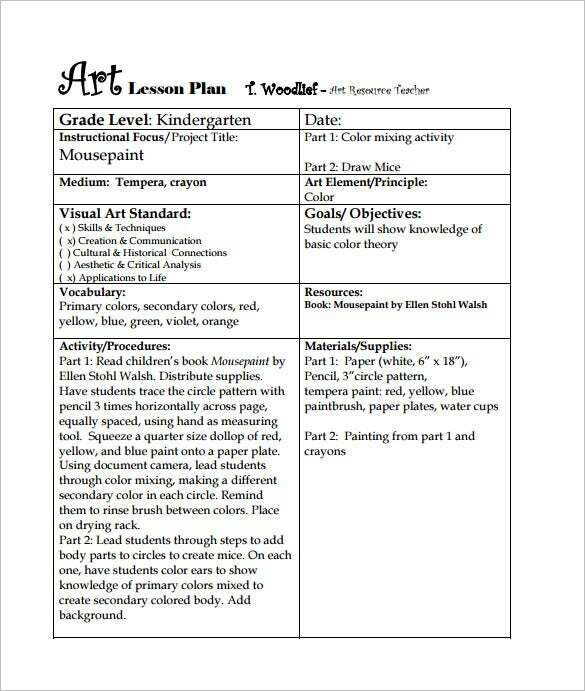 aps.edu | This elementary visual art lesson plan comes with an elaborate framework where you have all the major parameters of a lesson plan included like lesson title, objective, vocabulary, resources used, procedures & assessment. 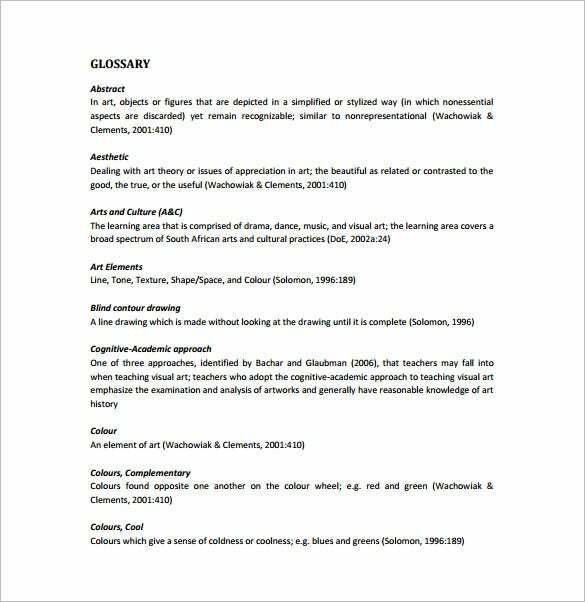 digitalknowledge.cput.ac.za | This visual art lesson plan comprises of every important parameter of a proper lesson plan and that includes discussions on abstract, aesthetic, art & culture, art elements, blind contour drawing, cognitive-academic approach etc. 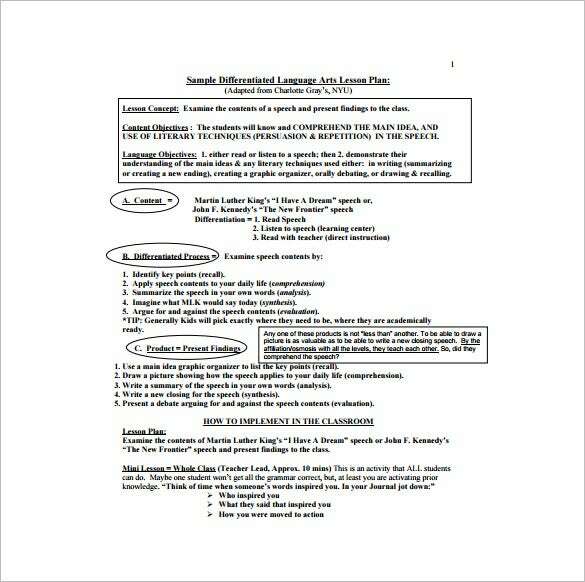 lessonplans4teachers.com | This language art lesson plan comes with a table on the procedures to be followed and materials used for each activity under a stated timeline. 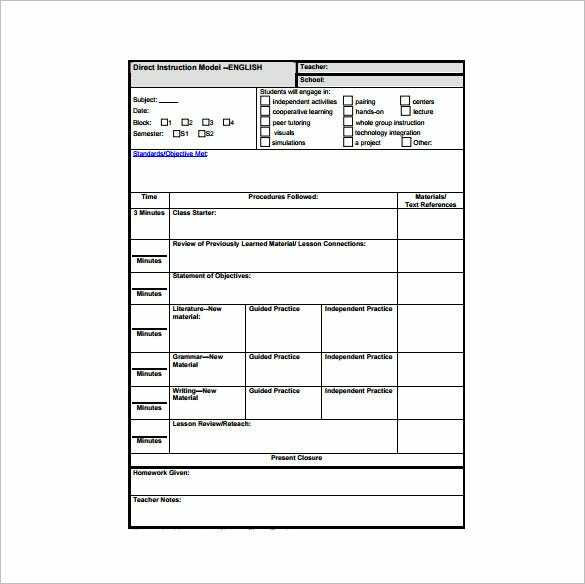 It also talks about the activities of the students in a separate box. henry.kyschools.us | You are getting a very elaborate differentiated language arts lesson plan which comes with a detailed discussion on each major parameter such as the context of the lesson, the differentiated process, product & how to implement it in classroom. 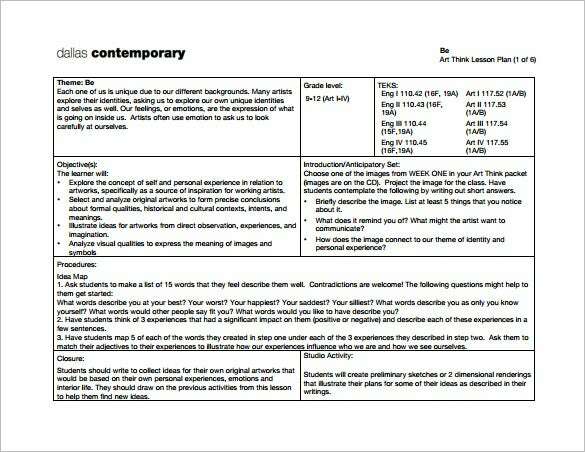 dallascontemporary.org | You have got all the major aspects of a proper art think lesson plan in separate boxes here such as theme of the lesson, grade level, objectives, the introduction set, the procedures, the closure & student activity. 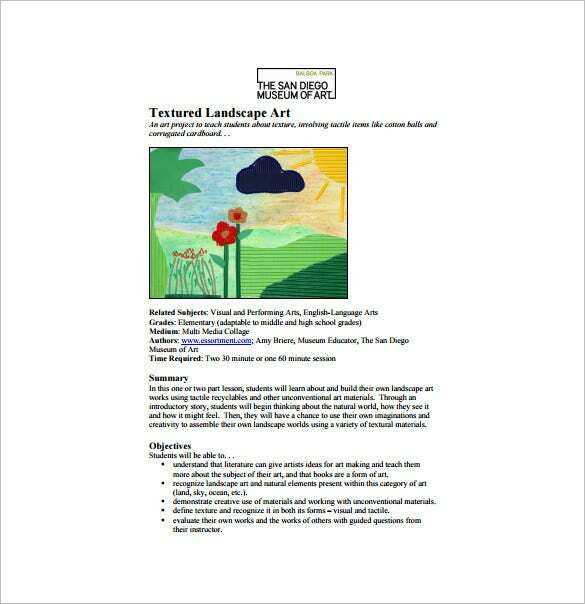 duvalschools.org | This kindergarten art lesson plan is divided into two columns to include all the vital aspects of a lesson plan such as the instructional focus, the medium, the Visual Art Standard, Vocabulary, Activities, Resources, Goals, Materials etc. 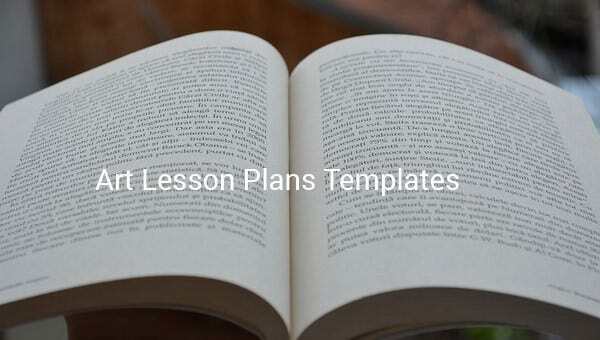 Lesson plan templates are very much a handy asset for teachers as it enables them to teach the syllabus in a systematic manner. 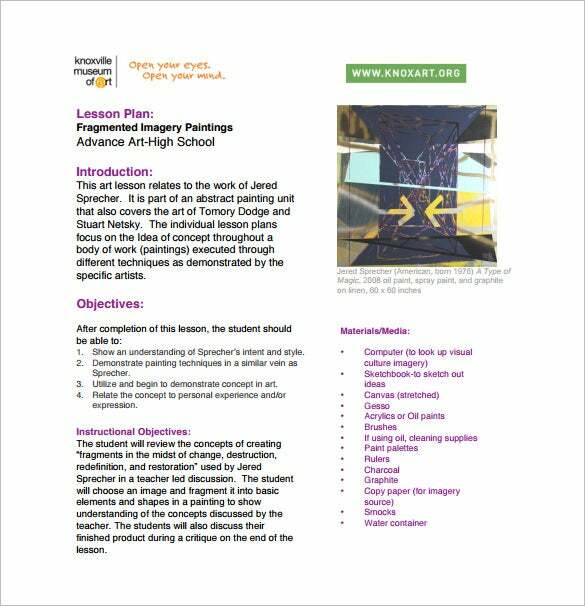 Art lesson plan templates are no different in their purpose. 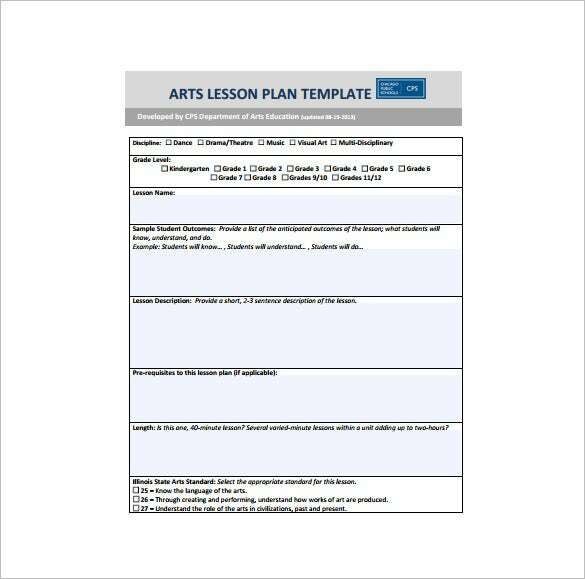 Here we have a variety of free lesson plan template for teachers’ to download and use. If you have any DMCA issues on this post, please contact us!